A few weeks back, I was in Epcot at Sunshine Seasons, deciding what I wanted to have for lunch. As I walk up to the counter to order my usual Turkey and Monterey Jack on Ciabatta with Chipotle Mayonnaise and Potato Salad, I am greeted by a very sweet cast member named Sarah, who quickly notices and compliments my Horizons sweatshirt enthusiastically. It's always a shock to me when someone actually recognizes what it is, so I thank her and she continues to gush about Horizons, as we chat while she's plating my sandwich. It absolutely made my day, not only because someone recognized Horizons, but that a current Epcot cast member was so knowledgeable and enthusiastic about Epcot's heritage. I told her she was the perfect cast member to be working in Epcot, and I could not wait to share this story as part of the archives. 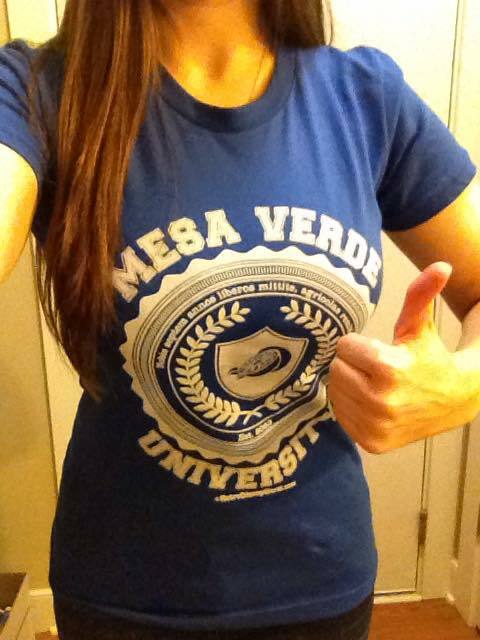 So, thank you again, Sarah from Averill Park, NY! You are truly the model Epcot cast member! My interaction with Sarah was actually not the first interaction I've had based on my Horizons inspired apparel. I had a similar interaction with a young man that was working at the After Market Shop, the gift shop located at the exit of Test Track. Whether it's my Horizons pin, my custom MagicBand decal, a Horizons t-shirt or a Horizons sweatshirt, I always get stopped by the nice folks out there like you, who have an appreciation for not only Horizons itself, but the availability of Horizons inspired merchandise. Let’s start with RetroDisneyWorld.com! This website has been a major influence in my decision to start the archives, and I just wanted to thank the gentlemen who created it for constantly teaching me, and hundreds of other fans who thought they knew everything there was to know, something new and interesting every single month! In addition to their monthly podcast, RetroDisneyWorld also has their own ImageWorks Film Restoration Lab. Their goal is to “bring back the moving image history of the grandest and most memorable times for Walt Disney World...1971 to 1989.” If you have any home movies from the parks that you would like restored or digitized, I highly recommend checking them out! Speaking of RedBubble, that’s also where I found the sweatshirt I’m wearing above. Though I no longer have this exact hoodie (It’s a very long and tragic story that involves leaving it behind at Coronado Springs, Lost and Found mailing it to the wrong address, and me never being able to retrieve it…sigh…) I was able to replace it with a similar one, and the only real difference is a thinner material and the Horizons symbol is now blue instead of white. If it’s a chilly day in the parks, you can be certain that I’ll be wearing it, so if you happen to see me, don’t be afraid to say hello! 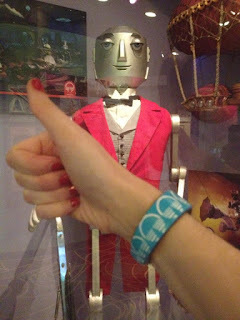 Another cool thing I’ve discovered is the ability to make custom MagicBand decals on MagicYourBand.com! This is the first company I have seen where you can actually upload the picture you want to use, and they will print it exactly how you design it. When I discovered I could make the decal with the Horizons symbol that’s pictured above, I was so excited, and when it arrived, it was perfect. I believe it was only about 6 or 7 dollars, and I wear it every time I go into the parks. It feels nice to be able to take a little bit of Horizons with me everywhere I go, even if I’m not wearing my t-shirt or my sweatshirt that day. One last website I'd like to plug is Zazzle. 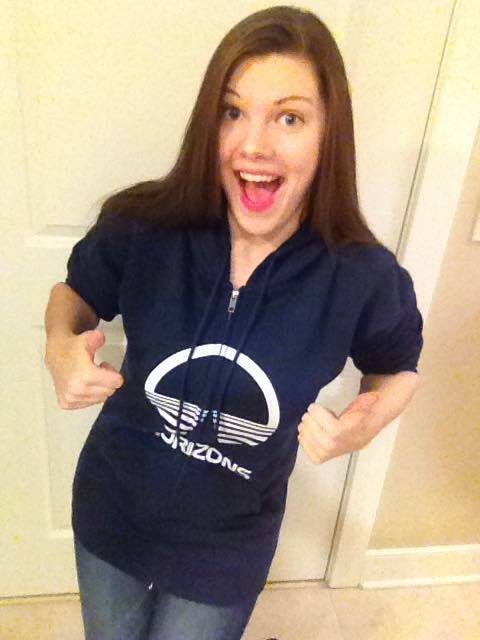 They were the first website I discovered years and years ago that actually produced Horizons inspired merchandise, and it was life changing to see how many people actually appreciated it enough to do that! I hope this inspires you to show off your Horizons pride the next time you are at your local mall, or at the grocery store or especially walking around Walt Disney World. You never know who else might be a Horizons fan, and it can spark some pretty interesting conversations. At the very least, you will be happy knowing that you are keeping the memory of Horizons alive! Thank you for sharing! 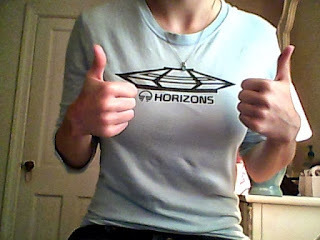 I definitely need some Horizons shirts for my collection. I hope you find some that you really love! It can definitely get addicting!